Dr. Maatouk and the staff focus on taking care of your dental needs when you come into our office. We will establish open lines of communication so that we can create a dental plan that will give you the smile you will be proud of. Exams at Gentle Touch Dentistry in Lincolnwood, IL are performed in conjunction with your regular cleanings and checkups. As part of your checkup, we will examine your mouth for any present tooth decay, gum disease, or oral cancer. In addition, the dentist will examine your current dental restorations (bridges, crowns, fillings, etc.) to determine if they are still effective. We invite you to call our office today to schedule your next checkup. We look forward to helping you improve your oral health! When you visit Gentle Touch Dentistry for your dental care, you and our cosmetic and restorative dentist will carefully review your dental and medical history as well as your oral health and aesthetic goals to create a custom treatment plan. Our goal is always to listen to your questions and concerns so that you walk away from our office with the beautiful smile you’ve always wanted on your face. We invite you to contact our Lincolnwood, IL dental practice today to schedule your next appointment with our dentist. We provide free consultations for professional teeth whitening, Invisalign, and dental implants. Together, we can create a dazzling, healthy smile that you can be proud of. As part of your cleaning and prevention plan at Gentle Touch Dentistry, our dentist or hygienist will take X-rays of your teeth. Our Lincolnwood, IL dental practice is equipped with digital radiography, the latest in dental X-ray technology. Using digital X-rays, our dentist is more easily able to detect any potential oral problems. The digital images taken by the digital X-ray machine can be instantly viewed, making digital X-rays more convenient then their traditional counterparts. In addition, the digital X-ray process is more comfortable and safer for you. To learn more about digital X-rays, please call our office soon. We’ll be happy to answer your questions about our advanced dental technology. To help improve the beauty of your smile, you may want to consider professional teeth whitening. Our professional whitening services can brighten your teeth and remove unattractive tooth stains. Unlike over-the-counter bleaching products that offer mediocre results, professional whitening from our dentist will give you the brilliant smile you’ve always wanted. To learn more about professional teeth whitening or cosmetic dentistry, call Gentle Touch Dentistry in Lincolnwood, IL today. We will be happy to schedule your free whitening consultation with our dentist. Invisalign can correct many dental flaws. If you are interested in learning more about Invisalign or cosmetic dentistry, call our Lincolnwood, IL dental practice today to schedule your free Invisalign consultation with our cosmetic dentist, Dr. Maatouk. Dental implants are a modern, effective solution for replacing one or more missing teeth. Dental implants will act as both the root of the tooth and the tooth’s crown. When the implant procedure is complete, strength, stability, and support will be restored to your mouth and jaw once again. The process of receiving an implant can take several months and multiple appointments to complete. During these appointments, the titanium implants and implant restorations will be placed. Implant restorations are the visible portion of the implant and can be a crown, bridge, or denture, depending on you specific needs. If you are interested in learning more about implant dentistry or in scheduling your free implant consultation with our cosmetic dentist, please call Gentle Touch Dentistry in Lincolnwood, IL today. When a tooth suffers from minor fractures, cracks, or decay, our dentist will place a tooth-colored filling to restore both function and beauty to the tooth. Tooth-colored fillings are aesthetically pleasing and the dentist can match them closely to the color of your natural teeth. The procedure to receive a tooth-colored filling requires just one appointment at our Lincolnwood, IL dental practice. During this appointment, the dentist will remove the compromised portion of the tooth and thoroughly clean the remaining healthy tooth. Then, the dentist will place your tooth-colored filling. For more information on restorative dentistry or cosmetic dentistry, please contact our office soon. We offer restorative dental treatments, including crowns (caps) and bridges, to help get your smile looking naturally beautiful once again. Crowns completely cover an imperfect or root canal-treated tooth in order to restore it to an optimal shape and size. Crowns can lend protection and strength to weakened tooth structure and are often created out of tooth-colored materials such as porcelain or composite resin. For those who are missing teeth, a dental bridge may be the perfect solution. Bridges are permanent appliances that can restore function to your bite as well as give you a beautiful, complete smile. When in place, no one will be able to tell that you were ever missing a tooth! For more information on crowns or bridges, please call Gentle Touch Dentistry in Lincolnwood, IL today to schedule your consultation with the dentist. 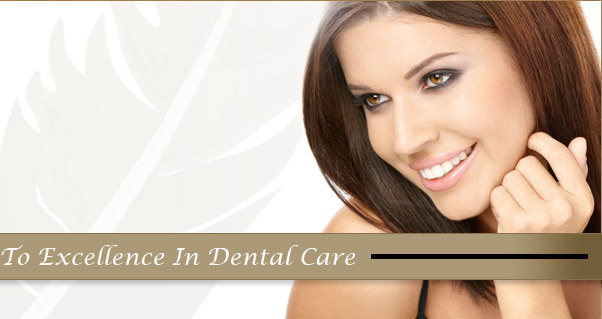 At Gentle Touch Dentistry in Lincolnwood, IL, we aim to take care of your smile. To help you discover which treatment options will help meet your smile goals, we offer free consultations for Invisalign, dental implants, teeth whitening, and our mini-smile makeovers. During these consultations with our dentist, you will discuss your various smile goals and how you’d like to achieve them. These free consultations with the dentist are pressure-free and move at your pace. We invite you to contact our office today to schedule your next Invisalign, implant, whitening, or mini-smile makeover consultation with our dentist. We hope to see you soon!